If you have decided on the type of stair or chair lift you want installed in your home, the next step is to determine the stair lift costs. In order to do that, give us a call today to speak with one of our friendly customer service representatives about an estimate. To get your stair lift costs you can also fill out the form below and we will be in touch with you right away. 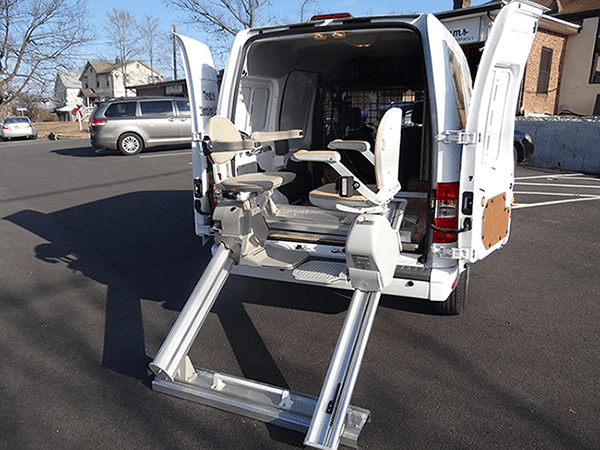 Be sure to include whether you are interested in purchasing a stair lift, modular ramp, or wheelchair lift. We can also install and repair new or used stair lifts and wheelchair ramps. Once we’re in touch, one of our installation technicians will visit your home to measure and evaluate. This process takes around 15 to 30 minutes, after which time we will provide you with a quote. When you are ready for us to install the lift, contact us and we will be at your home within 24-48 hours. Please note the we only service New Jersey residents. There are a number of factors that go into determining stair lift costs. The height and weight of the individual is a factor, as is the area of your home in which it’s going to be installed. For example, if there is a door at the top of your stairway then only certain models will work. Our business is located in Fanwood, NJ, so people can feel free to talk to us in person by stopping in or by phone, or by filling out the contact form on the right side of the page! Our customer service representatives will answer any question or concern and will be able to assist you with your purchase! Please fill out the form below to receive an estimate for your stair lift costs.